Wide range of projects: Our company is proud of our long track record of offering comprehensive services to clients for a large variety of projects. We can review current zone requirements as well as proposals and applications, work with easement requirements, evaluate your project for utility requirements and infrastructure improvements, and much more. Responsiveness throughout your project: Mason & Stanfield, Inc. has a strong reputation for being fully engaged during every phase of our clients’ projects. From planning stages through the completion of your project, you can count on us to always respond directly to your needs and requests. Strong relationships: Because Mason & Stanfield, Inc. has served Idaho clients for more than 25 years, we’ve built up not only a deep and vast knowledge base, but also good, solid relationships with important agencies, contractors, consultants and other people and groups whose input or services may be necessary during work on our clients’ projects. This allows us to work more effectively toward ensure our clients’ needs are met on time and within budget. 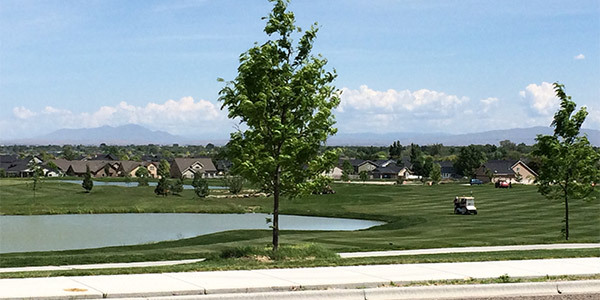 When you need comprehensive land planning services in Idaho, call the team at Mason & Stanfield, Inc. at 208-454-0256 to learn more about how we can help make every phase of your project run smoothly and efficiently.